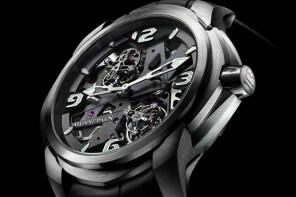 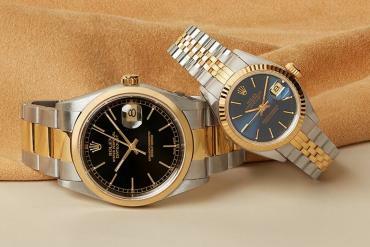 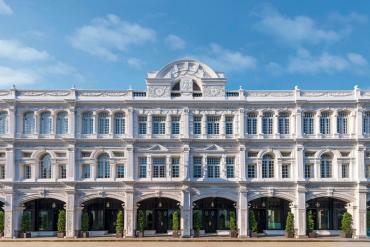 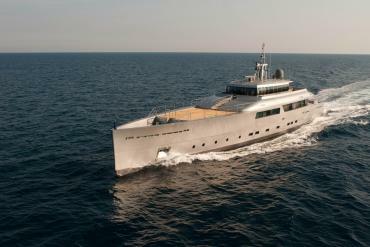 This is an exciting time for watch connoisseurs indeed. 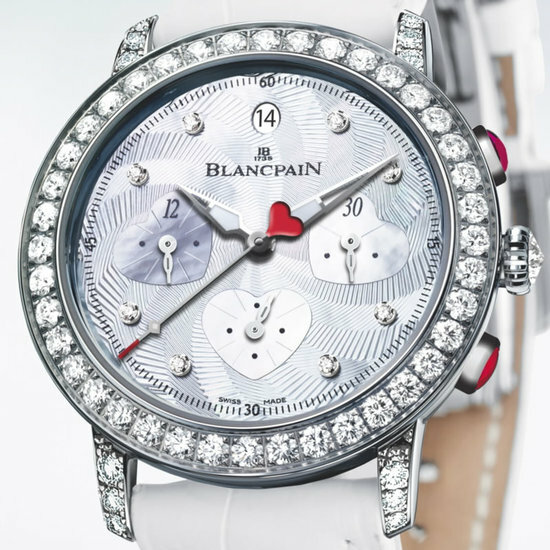 With Basel World around the corner, all watch brands are launching their Pre-Basel collections and the latest to do so is Blancpain with the Chronographe Grande Date. 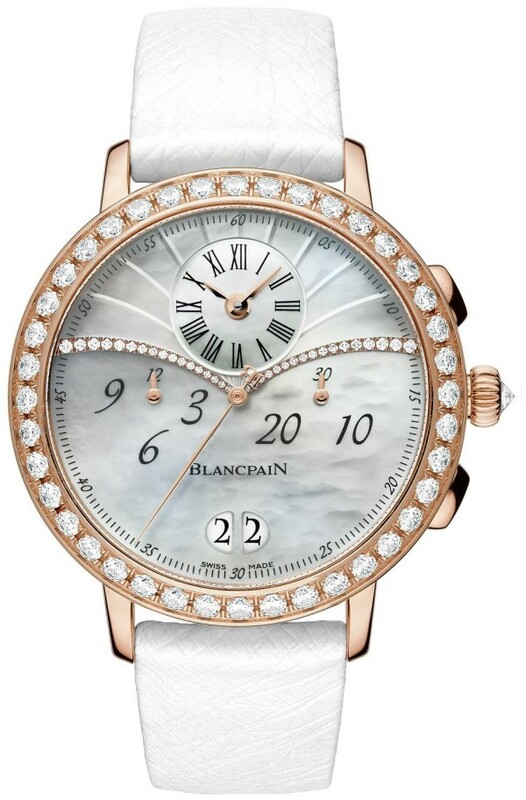 This vision in white boasts of an 18K rose gold case with a bezel studded with 40 diamonds. 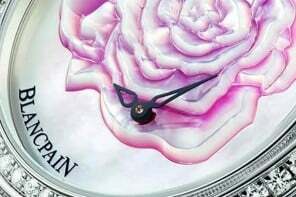 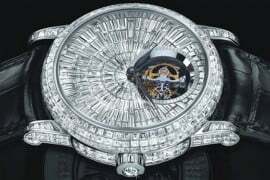 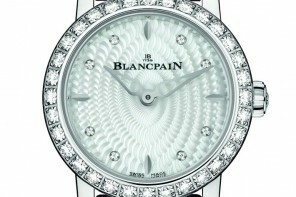 The mother-of-pearl dial is further adorned with 17 diamonds forming a wave pattern. 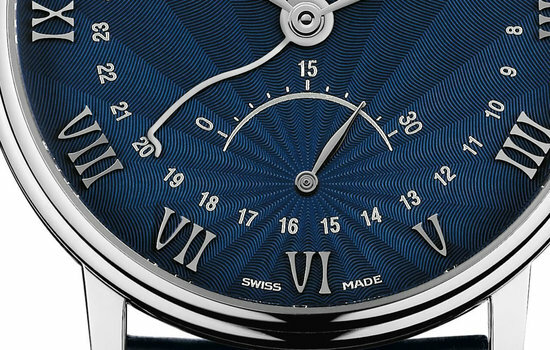 The dial also features offset hours and minutes at 12 o’clock with Roman numerals. 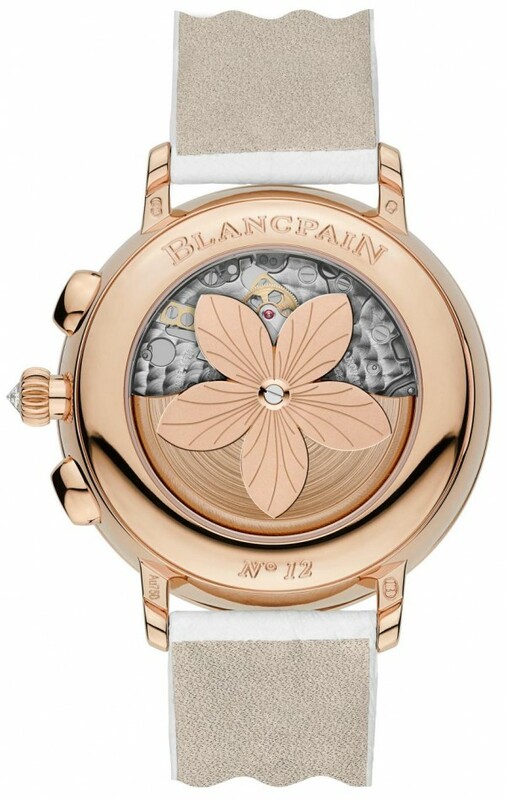 Taking femininity to another level is the gold rotor which is shaped like petals of a flower! 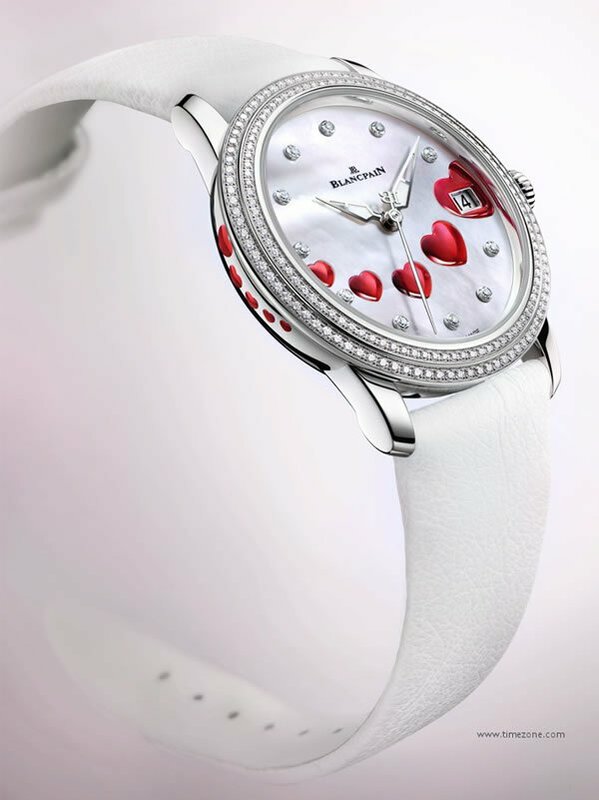 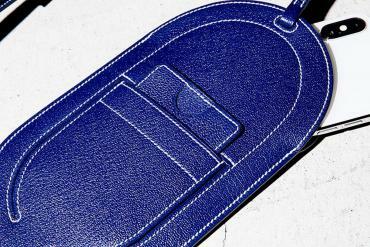 A white leather strap with a rose gold buckle adds the finishing touch. 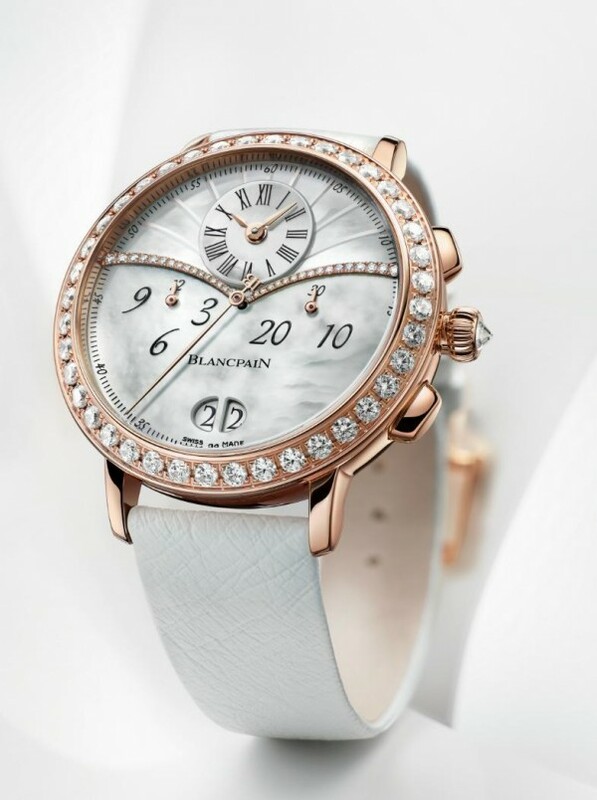 The Chronographe Grande Date timepiece further boasts of the Swiss automatic movement and the Blancpain in-house caliber 26F8G. 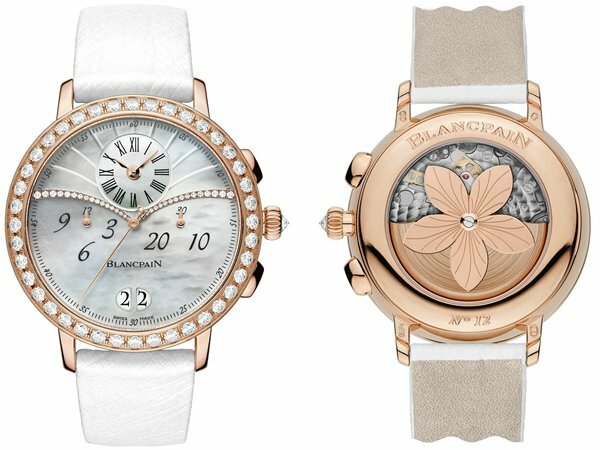 This launch stays true to the brand’s philosophy of churning out subtle and sophisticated timepieces, making it an elegant choice. 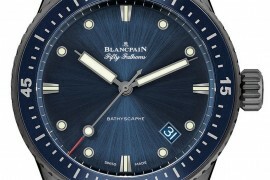 READ: Blancpain Fifty Fathoms is wonder in white!